Ultrasonic assisted liposuction (UAL) is any modified liposuction technique that delivers ultrasonic energy to subcutaneous fat in an effort to facilitate traditional negative-pressure liposuction. 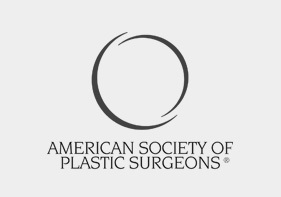 UAL has become less popular because of an increased awareness among liposuction surgeons that UAL is associated with increased risks of complications. The concept of UAL is intuitively appealing. A piezoelectric crystal converts electric energy to rapid (ultrasonic) vibrations and heat that are transmitted to a small metal rod or paddle and thus injure living tissue. Ultrasonic energy delivers a combination of vibratory mechanical energy and thermal energy to subcutaneous fat. Safety of UAL is controversial. 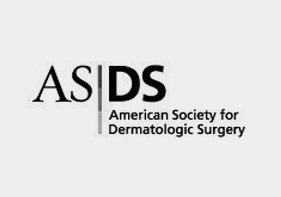 One study of 250 consecutive UAL patients concluded that internal UAL is “both safe and effective” despite three cases of dermal necrosis (1.2 percent), 28 postoperative seromas (11.2 percent), and 35 patients with Reston foam blisters. (Maxwell GP. Ultrasound-assisted lipoplasty: a clinical study of 250 consecutive patients. Plast Reconstr Surg 101:189-202,1998). 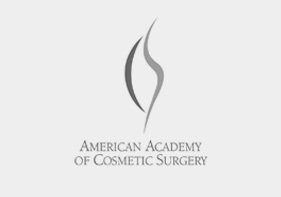 Based on this report, most experienced liposuction surgeons have concluded that UAL is less safe than Tumescent Liposuction with microcannulas. There are two types of UAL: Internal UAL and external UAL. Internal UAL delivers ultrasonic energy directly to subcutaneous fat by a metal rod or cannula inserted through an incision in the skin. External UAL delivers ultrasonic energy to subcutaneous fat by means of applying a paddle-shaped instrument directly to the overlying skin. Europeans were the first to embrace internal UAL. After an initial period of enthusiasm for internal UAL, it was eventually rejected by the majority of European liposuction surgeons because of an unacceptable incidence of complications. Despite the misgivings of many European surgeons, internal UAL was subsequently introduced into North America. Many surgeons tried internal UAL because it was promoted as the “cutting-edge” of cosmetic surgical technology. Because of insufficient proof of safety, the FDA (U.S. Food and Drug Administration) never approved the sale of internal UAL devices for liposuction. Nevertheless equipment manufacturers and some prominent surgeons promoted internal UAL, and many surgeons purchased these devices with the intention of using them on liposuction patients. Eventually the risks of UAL became apparent, and sales of UAL devices plummeted. The company that sold most of the Internal UAL devices in America has declared bankruptcy. 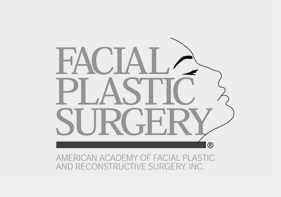 External UAL was initially promoted by several enthusiastic liposuction surgeons who made statements that were based on subjective opinion rather than objective scientific data. It soon became apparent that external UAL provided no benefit, and it is now rarely used. UAL causes blood clots in the small blood vessels. Internal UAL produces heat and elevates the temperature of targeted fatty tissue. However, it can also increase the temperature within the blood vessels that supply the overlying skin. Elevation of the temperature within blood vessels causes blood clots within the vessels. If the blood vessels that supply an area of skin with oxygen becomes blocked by clots, then the skin will die. Internal UAL may literally create a large area subcutaneous thermal injury. Injury to peripheral nerves is possible with UAL. Patients who have had internal UAL appear to have an increased incidence of prolonged numbness consistent with injury to sensory nerves. The neurosurgery literature has documented the injurious effects of ultrasound on peripheral nerves. The potential for ultrasonic energy causing damage to peripheral nerves suggests that the risks of using UAL in arms, legs, neck and face may outweigh any potential benefits. A seroma is a fluid-filled cavity beneath the skin containing serum (clear yellow fluid) that can persistent for weeks or months. Internal UAL causes the formation of seromas in 15% to 70% of patients. Advancing the internal UAL cannula too slowly through fat or using too much ultrasonic energy, causes seromas by damaging surrounding tissues. In response one manufacturer has modified its recommendations and “solved the problem” by recommending that surgeons reduce the amount of internal ultrasonic energy that is delivered to subcutaneous fat. In other words, do less ultrasonic liposuction and reduce the incidence of problems. The external UAL device is the same ultrasound apparatus traditionally used by physical therapists. These ultrasound machines are associated with definite risks and dangers. The manufacturers of external ultrasound devices provide instructions that state external ultrasonic devices should not be used over the heart, the ovaries, or over a large artery such as the carotid artery. 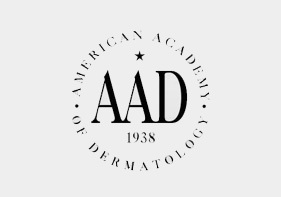 Manufacturers’ warnings should prohibit the use of external UAL for liposuction of the male chest, the female abdomen, or on the neck or chin areas. If a surgeon uses external UAL on the female abdomen, then the manufacturer’s warnings should be included in the information about UAL given to the patient.